So far, Ms. Geary has been sharing the lives of Aunt Moira's family in her Modern Witch Series of books. 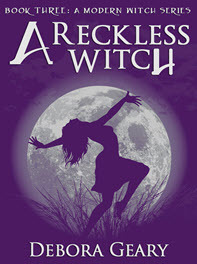 In A Reckless Witch, Nell's fetching spell goes out into the modern world and brings home a lost soul of sorts in the form of Sierra Brighton. Her momma has shown her many tricks, but she is no longer with her and now Sierra must perform the biggest one of them all - get a job and get on with her life. Sierra's ability to mess with the weather seems like fun for her, but causes a lot of trouble for some others in the witch community and their friends. TJ Hamblin and his best friend Govin are meteorologist (Weather Genius) and mathematician. Together they watch the world's weather patterns and save lives when things get out of control weather-wise. Before she knows it, Sierra is being wisked away via bus to California from Oregon to start her new life. The one she has been waiting for the last six years. The family takes her in and makes her one of their own. They show her how to take her skills that her momma has shown her and make them better, stronger and safer. Sierra is not reckless, she's just doesn't know any better. She's about to meet another reckless soul and get a new home and family in the process. Ms. Geary's books have kept me enthralled for weeks now. 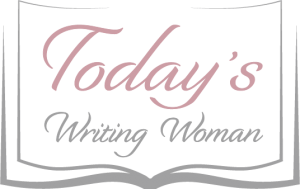 I hope that she finishes her next book soon, because I am getting close to the end of what she's already published! Take the time to read these books, because you'll get a good dose of witch reality. The stories are becoming stronger and keep the reader wanting more. This is by far, the best book in the series. The excitement mounts from the first page and much like a good storm, builds to an amazing crescendo! Join the ride...it's truly amazing!